TOP NEWS: OSEP Leadership Conference Is Almost Here! The 2017 OSEP Leadership Conference is just weeks away! Close to 1,000 people have already registered for this event. We are expecting a record turnout this year. The conference activities will support improving results for infants, toddlers, children and youth with disabilities and their families. We are excited to provide a rich and engaging experience for all those who attend. The agenda is packed with examples of overcoming challenges and leveraging successes related to (1) evaluating and implementing State Systemic Improvement Plans; (2) addressing equity through significant disproportionality, and through the use of valid and reliable data; (3) implementing multi-tiered systems of support in a way that meets the needs of all learners; and (4) reimagining stakeholder engagement in innovative ways, including with parents and families. The conference is structured so that all participants will have multiple opportunities for learning, and for networking with colleagues and OSEP personnel. On June 22, the Department published a Federal Register notice soliciting public input, consistent with Executive Order (EO) 13777: Enforcing the Regulatory Reform Agenda. The focus of the EO is to reduce administrative burdens imposed on the American people through agency-wide regulatory reform. In addition to commenting on regulations, individuals can comment on policy documents, such as dear colleague letters and frequently asked questions. OSEP's policy documents can be found here. We recommend you view the Department's press release and fact sheet for more information. State directors of special education and IDEA Part C coordinators should have received our annual Grantee Satisfaction Survey. Responses to the survey are due no later than June 30, 2017. If your state education agency (SEA) or lead agency (LA) has not received this survey, you may contact Rebecca Walawender at Rebecca.Walawender@ed.gov. Please note that only one person from each SEA and LA can respond to the survey. Thank you for your participation! 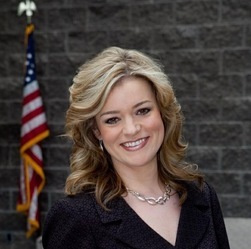 This month we are thrilled to welcome our new deputy assistant secretary for the Office of Special Education and Rehabilitative Services (OSERS), Kimberly M. Richey. 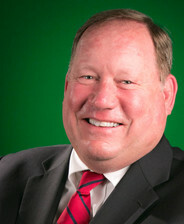 Richey has served as the chief advocacy officer for the National School Boards Association, as the general counsel of the Oklahoma State Department of Education, and as general counsel and associate director of the Oklahoma Council on Law Enforcement Education and Training. 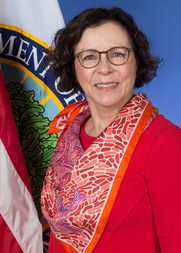 From 2004 to 2009, she served the Department as counselor to the assistant secretary in the Office for Civil Rights and as acting chief of staff in the Office of Legislative and Congressional Affairs. We look forward to working with her! OSEP's Monitoring and State Improvement and Planning division is finalizing determinations and grant awards for 2017. OSEP will issue determinations on or before June 30. View the 2017 determination fact sheet here. OSEP anticipates issuing grant awards on July 1. Reach out to your OSEP state lead if you have any questions about these processes. We also plan to publish six Information Collection Requests (ICRs) in the Federal Register in July: (1 and 2) The IDEA Parts B and C grant application packages; (3) the Part C child-count settings and exiting; (4) the Part C dispute resolution; and (5 and 6) the Parts B and C record-keeping ICRs. They will be announced once they become available and the 60-day comment period begins. 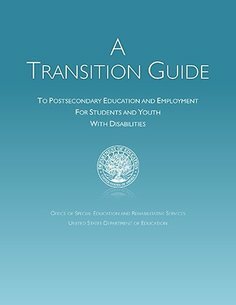 OSERS has revised and reissued its tool kit, A Transition Guide to Postsecondary Education and Employment for Students and Youth with Disabilities. Published in May 2017, this updated version of the tool kit reflects the withdrawal of certain Every Student Succeeds Act (ESSA) regulations as a result of Public Law No. 115-13. This law, signed by President Trump on March 27, 2017, rescinded the Department's regulations relating to accountability and state plans under the Elementary and Secondary Education Act of 1965 (ESEA), as reauthorized by the ESSA. NIEER has published The State of Preschool 2016. This edition of the annual yearbook presents data on state-funded preschool programs during the 2015–16 school year. It also documents more than a decade of change in state preschools since the publication of the first yearbook, which collected data on the 2001–02 school year. The 2016 yearbook profiles programs in 43 states, plus Guam and the District of Columbia. It also provides narrative information on early education efforts in states and the U.S. territories that do not provide state-funded preschool. Nationwide in 2016, state-funded preschool programs served nearly 1.5 million children, which is 32 percent of 4-year-olds and 5 percent of 3-year-olds. State funding for preschool rose 8 percent from 2014–15 to about $7.4 billion, a $564 million increase. State funding per child increased to $4,976 during the same period, exceeding pre-recession levels for the first time. The primary data source for this report is the 2016 State of Preschool Survey, which was conducted by NIEER and funded by the Department’s National Center for Education Statistics. The OSEP-funded State Implementation and Scaling-up of Evidence-based Practices Center (SISEP), a part of the National Implementation Research Network, has released "Brief 5: Developing State Capacity for Change." The brief provides information to support states' implementation of Results Driven Accountability (RDA). RDA is designed to assure that educators have the supports necessary to address the needs of all children, including children with disabilities. Technical assistance centers, such as SISEP, are encouraged to support states as they make systemic changes that lead to improved outcomes for students. SISEP has recently made available data, further explained in the brief, that show that, with active implementation science as a change method, capacity for change can be improved over time within complex state education systems. These data are based on a standard measure that has been used to systematically assess capacity development within and across states. On June 30, 2017, the Department published final regulations under Parts B and C of IDEA. These final regulations make conforming changes needed to implement amendments made to IDEA by ESSA. When ESSA was enacted, it reauthorized ESEA and also made changes to sections 602 and 611 through 614 of IDEA. OSEP has amended the IDEA regulations in Parts 300 and 303 to reflect these conforming changes, and to ensure consistency between Title I of ESEA and IDEA Parts B and C regulations. The amendments (1) remove and/or revise IDEA definitions based on changes made to the definitions in ESEA, as amended by ESSA; (2) update cross-references to ESSA in the IDEA regulations; and (3) revise relevant explanations of certain ESSA requirements that are applicable to children with disabilities. View or download a copy of the final regulations here. OSEP has also released a chart that summarizes each change included in the final regulations, available here. OSEP has published the following notices inviting applications (NIA) in the Federal Register. The Office of Elementary and Secondary Education's Office of State Support (OSS) has provided several states with initial feedback on their ESSA consolidated state plans. Feedback letters for Delaware, Nevada, and New Mexico can be found here. Immediately following the 2017 OSEP Leadership Conference, the NASTID Summer Meeting will bring together federal programs directors at the JW Marriott in Washington, D.C. from July 19 to 21. On the afternoon of July 19, state staff are invited to participate in an ESEA convening on the topic of developing consolidated state plans. Participants will have opportunities to share lessons learned from the spring submission of plans, preview new resources, and learn about other states’ work developed through communities of practice and peer-to-peer exchanges. States may register here, and are encouraged to contact their state lead in OSEP or OSS with questions. ED's Homeroom blog is up and running! Check it out for insights on the activities of schools, programs, grantees, and other education stakeholders. Via Homeroom, the Department features perspectives that complement, promote, and discuss educational innovation and reform. This month on the OSERS Blog, we feature an interview with Jack McCarthy (pictured right), president and CEO of Apple Tree Institute for Education Innovation. McCarthy leads his organization’s efforts to improve access to high-quality early learning programs for the District of Columbia’s preschoolers, including those in charter schools. In the post, McCarthy shares with us details about Apple Tree’s Every Child Ready early learning instructional model. It provides guidelines for what to teach, how to teach, and how to determine if children are learning in these settings.